Kit graduated from Liverpool University in 1984. 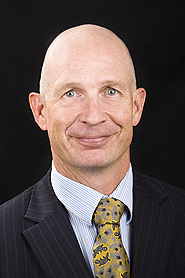 He commenced his radiology training in England and completed his radiology training in Perth in 1993. Kit spent several years as a Consultant Radiologist at Sir Charles Gairdner Hospital becoming Head of Department in 2000. He joined Perth Radiological Clinic in 2001 becoming a Partner that same year. He was Chairman of Perth Radiological Clinic’s Clinical Management Committee Board from 2008 – 2010. He is currently the Managing Partner of Perth Radiological Clinic’s branch in Subiaco. RANZCR, Annual Scientific Meeting, Perth, October 2010: 1. Electronic Viva Examination of RANZCR Candidates – a Trial Experience 2. A Pain in the Groin 3. Trialling Peer Review in Private Practice – Mistakes Made and Lessons Learned 4. How to Look Good in Exams.